Pencil-in more color! Rich and vibrant with smooth, thick lead for easy coloring. The hexagon-shape makes for easier handling by young children. Pre-sharpened to save you time with safe and non-toxic lead. Colors include: black, blue, brown, burgundy, green, light blue, light green, orange, pink, red, yellow and violet. 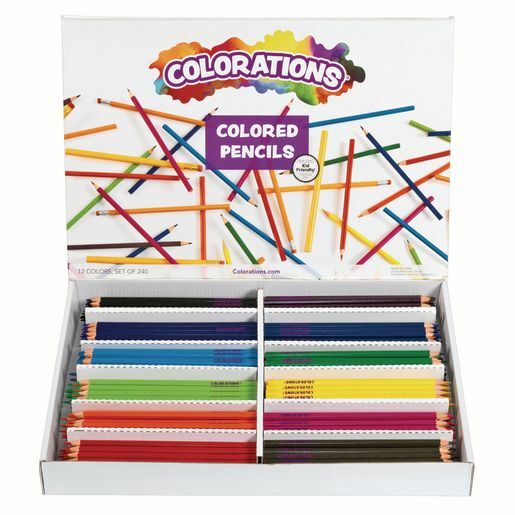 20 each of 12 colors shown. 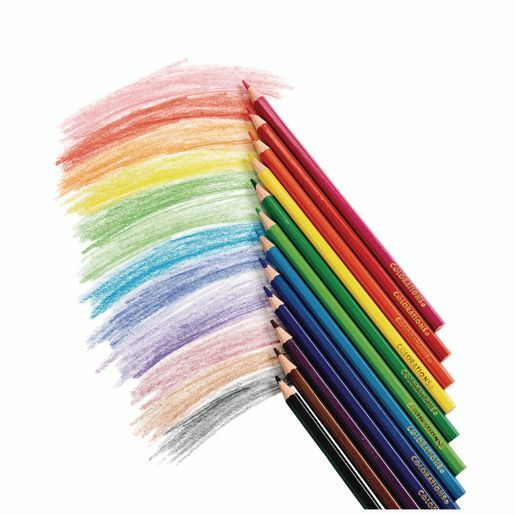 Colors include: black, blue, brown, burgundy, green, light blue, light green, orange, pink, red, yellow and violet.